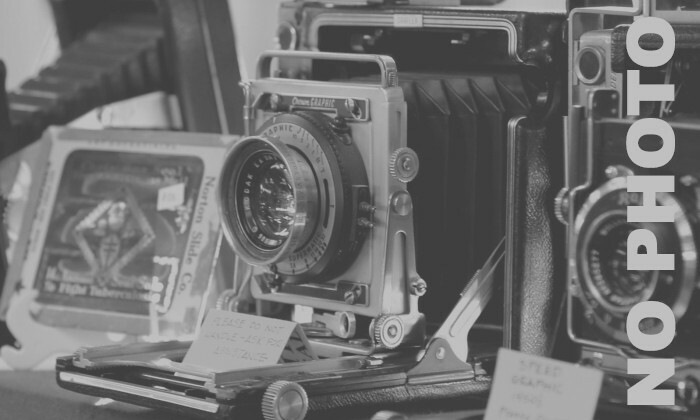 Round Top - AntiqueWeekend.com - Online Directory for the Round Top & Warrenton Texas Antique Shows. 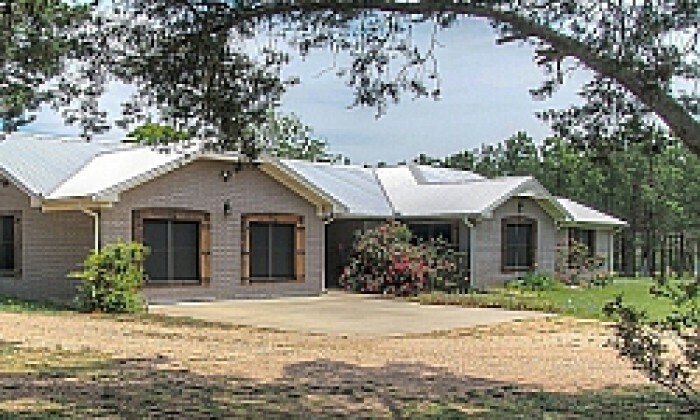 Four bedroom, 1-1/2 bath house with huge kitchen. 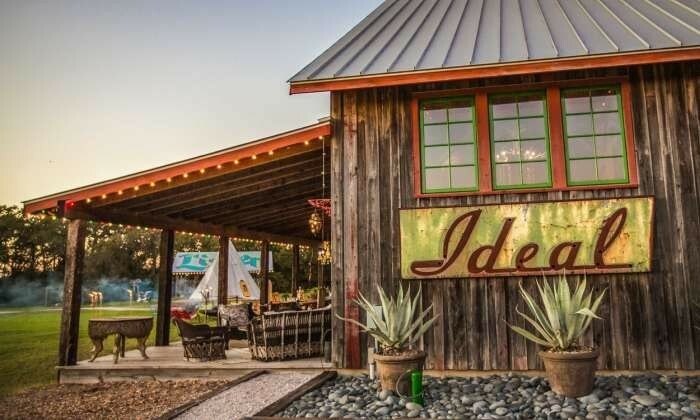 Sleeps 6-8 guests. 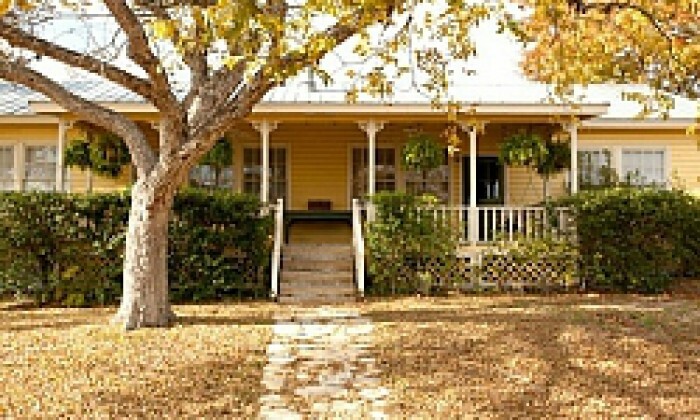 Two bedroom, two bath, cottage. 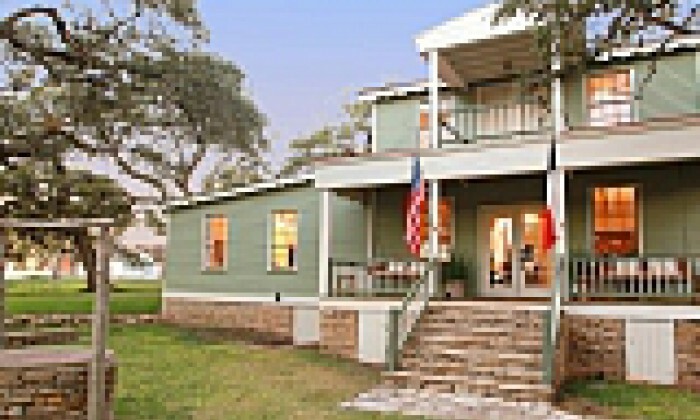 Fully modernized 1800's Texas farm home in the center of historic Round Top, Texas. Sleeps four and a single bathroom it provides privacy as well as all the amenities expected from the sophisticated traveler. 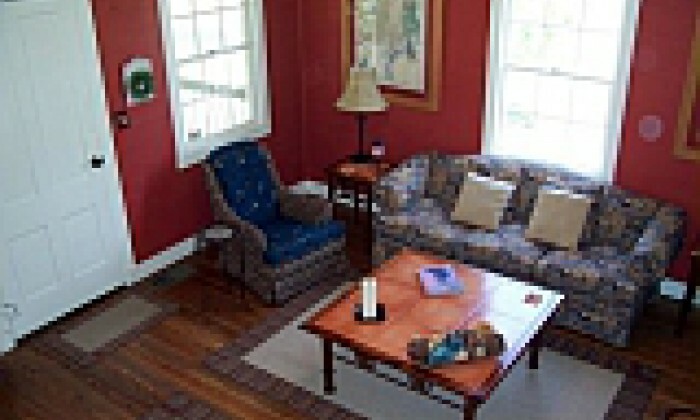 Comfort Cottage: features three bedrooms that share living area and full kitchen and may be booked separately: Rhapsody in Blue: Two full beds w/ private bath. Pretty in Pink: Queen bed w/shared bath. 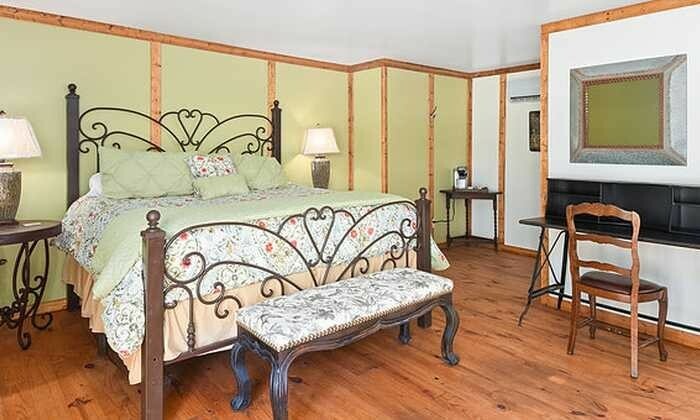 Southern Comfort: Queen bed w/ private sitting area. Bliss: A cozy one-bedroom cottage for one to three guests. 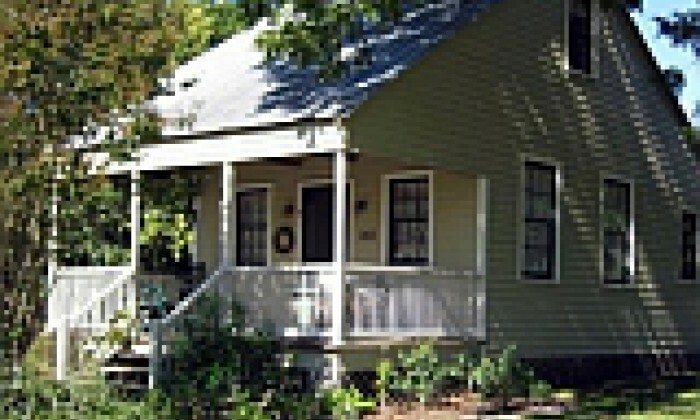 Queen bed, full-sized futon, fully equipped kitchen, and charming, private back porch. 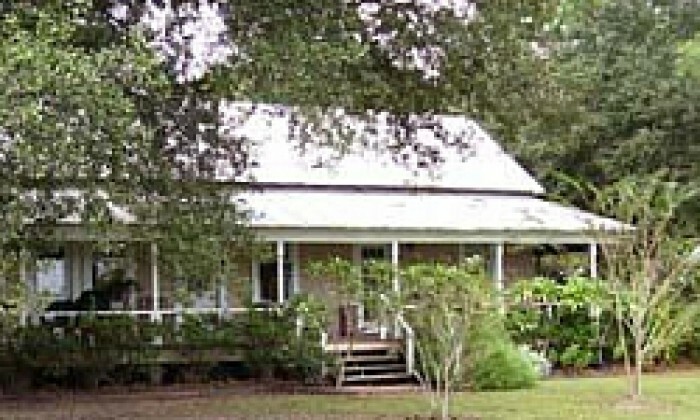 The Main House: features three comfortable bedrooms that share a full kitchen and living area. The master bedroom has a queen bed and private bathroom (shower only). The queen bedroom shares a full bathroom. The twin bedroom shares a full bathroom. 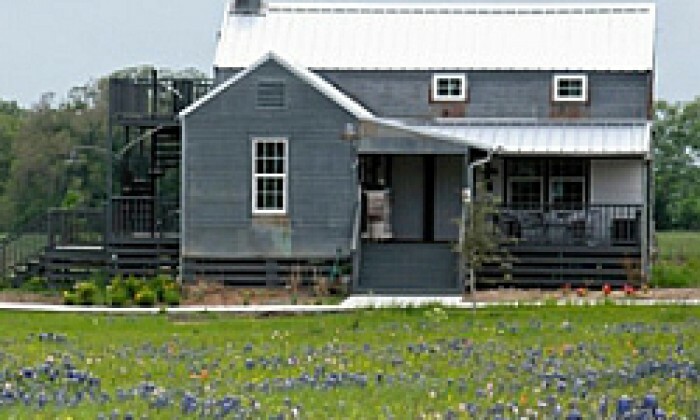 The rustic Tin Barn sports six convertible twin bed/tables with craft space for up to 30 people and sleeping space for six. 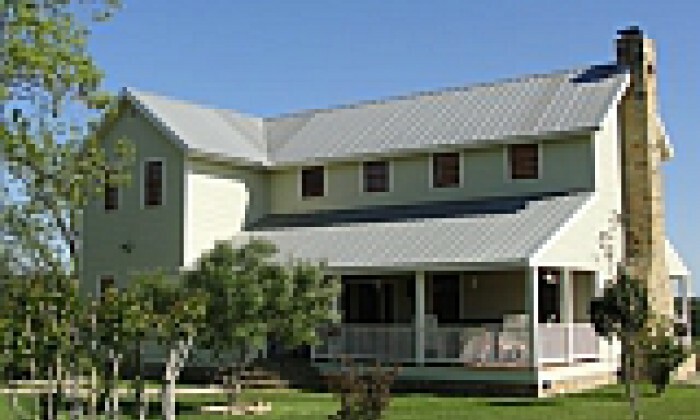 Coyote Station Guesthouse is a 9 room, newly constructed lodging venue, open year round. Each room is equipped with its own private bathroom, air conditioner/heater, WiFi access, flat screen TV, mini refrigerator, microwave, and Keurig coffee maker. Emerald Cottage: Cozy for two. One king or two twin beds as requested. Kitchenette and private bathroom. 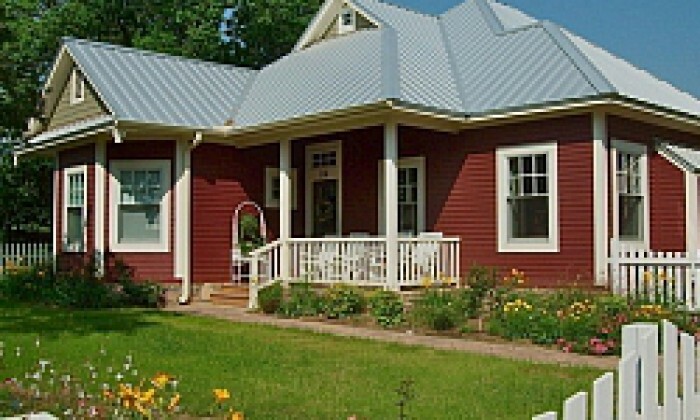 Azure Cottage: Perfect for two. One king or two twin beds as requested. Kitchenette and private bathroom. 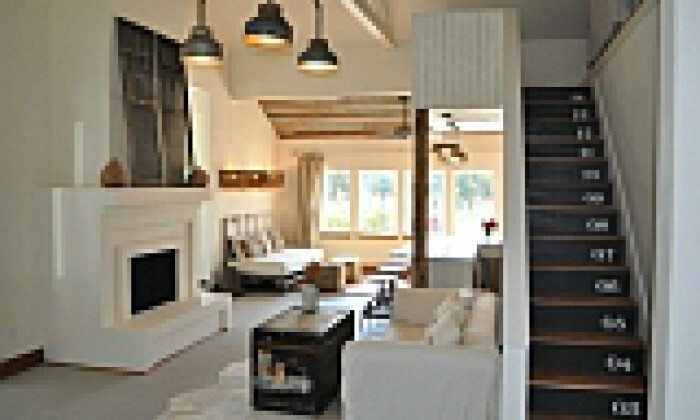 The Barn: The main living area is an open concept floor plan, with a high ceiling. Kitchen area, bathroom with a shower, central air/heat and Direct TV. 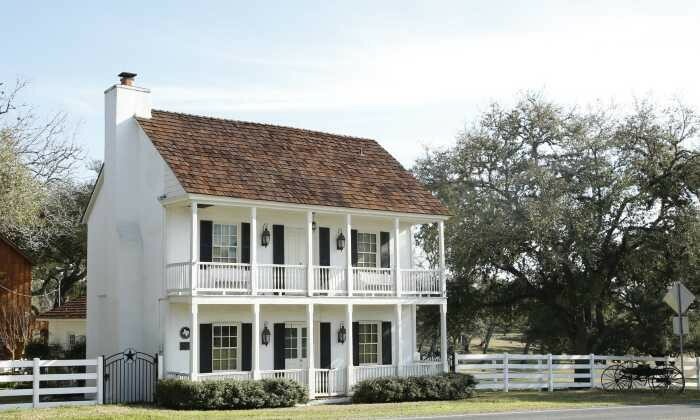 Farmhouse 7: Compact accommodation of one room spacious enough for a queen bed and kitchenette. The bathroom has a tub/shower combination. 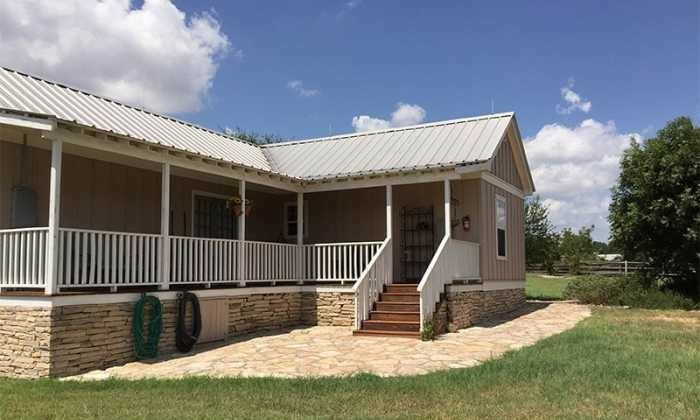 Farmhouse 8: Has two large bedrooms, each with a king bed, comfortable living area, dining room, kitchen and one bathroom with a tub/shower combination. 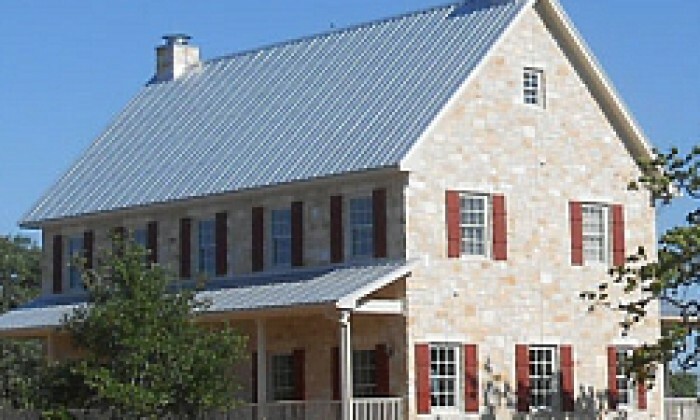 Farmhouse 10: Four spacious bedrooms (2 downstairs each with king beds--2 upstairs, one with twin beds and 1 full bed). Downstairs is one full bath with a large shower and upstairs is a half bath. 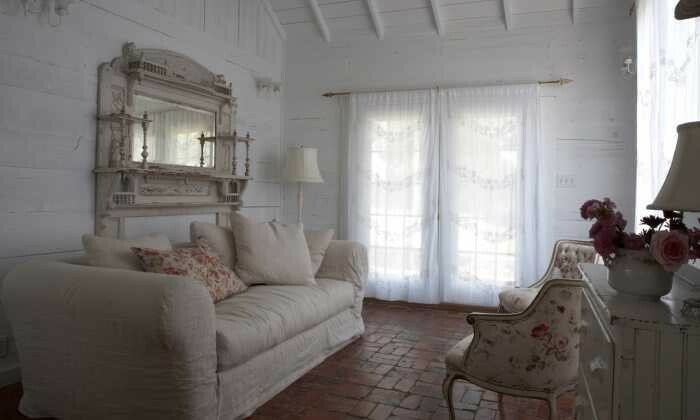 Charming 1800s guest cottage. One queen bed and two twins with 1-1/2 baths and a kitchenette. 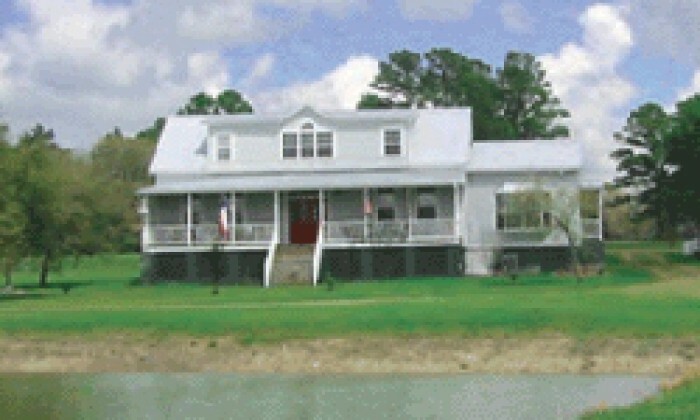 Located on 28 acres. Queen, full, and two twins. Sleeps six. 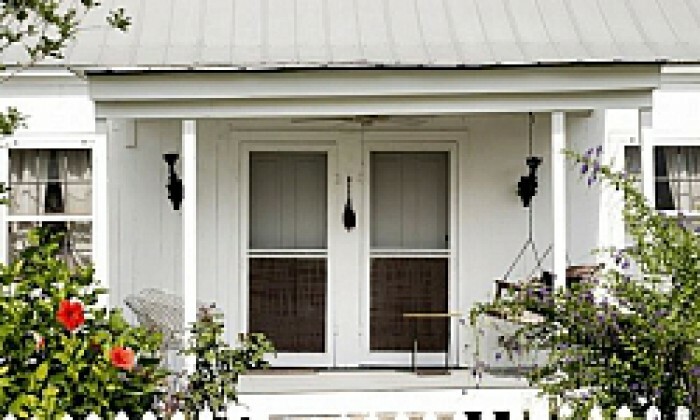 Open and screened porches. 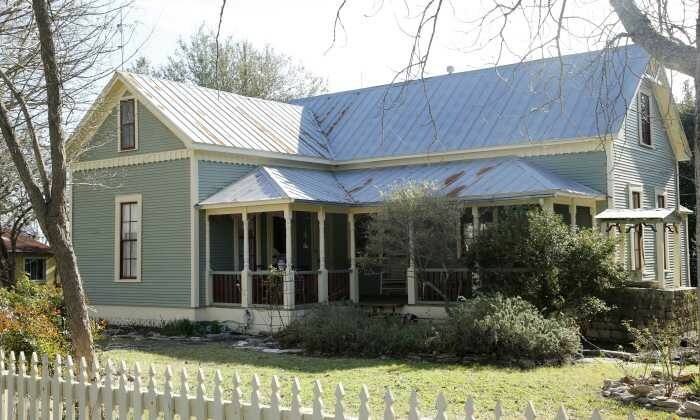 Two bedrooms, private bath, large living room with working fireplace, and large front porch. Refrigerator, microwave and coffee maker. Queen beds and ceiling fans throughout. Farm house rooms, cabins & barn. 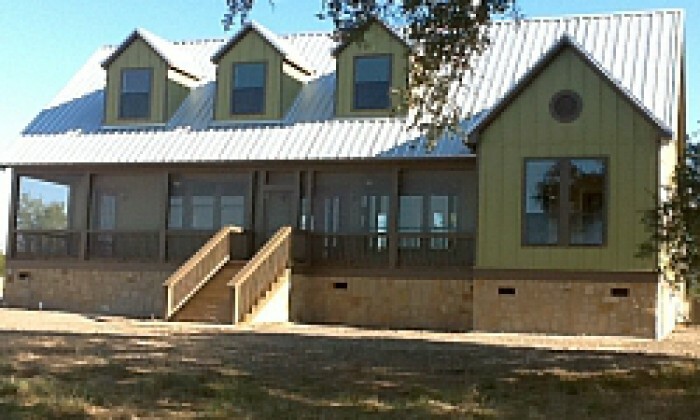 Ranger's Lounge & conference center. 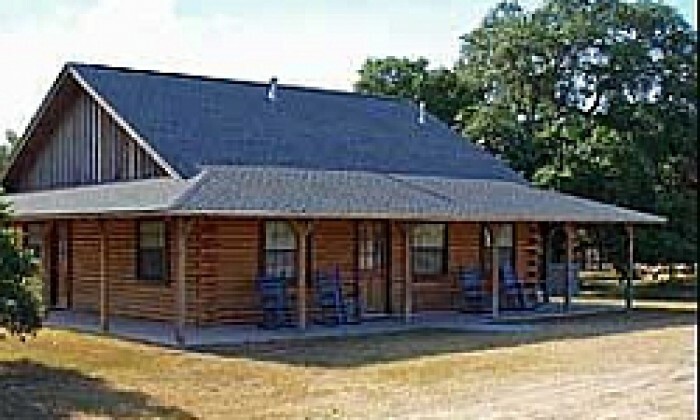 Two one bedroom, one bath, cabins with kitchen and living room sleeps three. One four bedroom, two bath, sleeps eight. 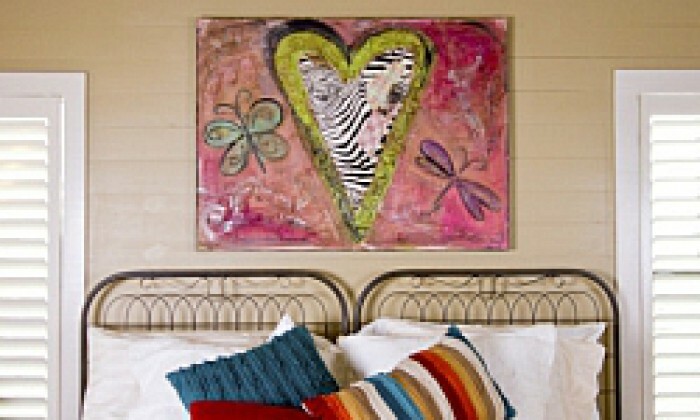 Rose Cottage: Two bedrooms, one double and one twin bedroom. 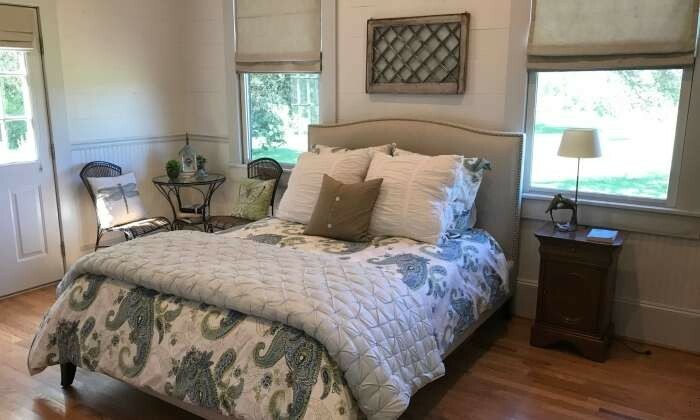 Pond Cottage: Two bedrooms, one queen and one twin bedroom. Two lovely rooms in our private guest area, filled with antiques. Each room has a queen bed and private bath, with enough room for an extra twin bed if desired. 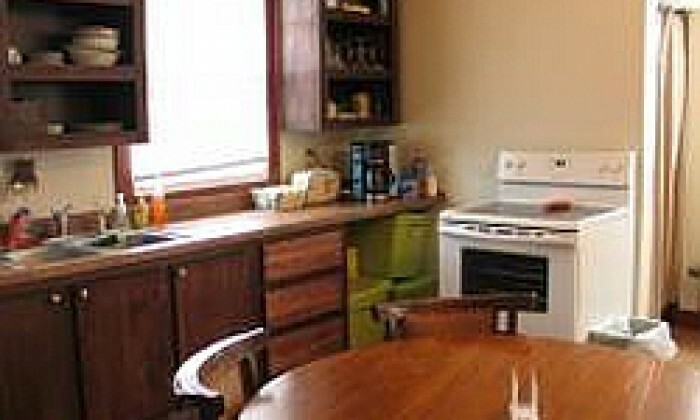 Guests will have access to a refrigerator, microwave, coffee maker, toaster and a variety of cereals and condiments. Satellite television, complimentary WI-FI, and clock radio with an iPod dock are included in each room. Nicely appointed house, with 2 Bedroom areas, both with Kings and a Queen Pull-Out Sofa in the Living Room. Kitchen with the basics. 2- Full bathrooms, TV Service. Nice decks to sit out on, and plenty of parking. No Smoking and No Pets. 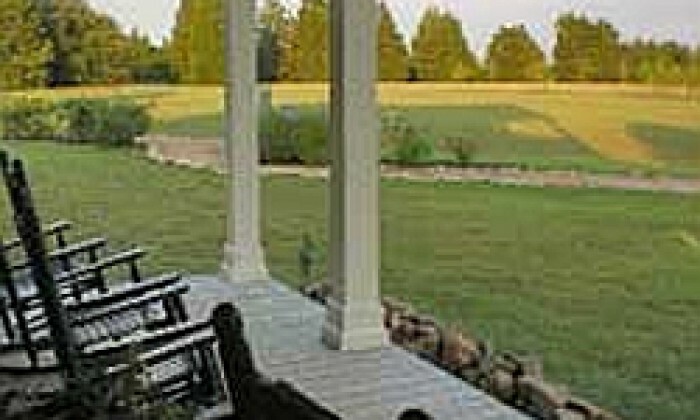 A Country Butler property. Hip and unique, 2400 sq ft house rental. It can sleep up to 7 with a master bedroom (king bed), a loft bedroom (queen bed and 2 twins), and if needed ;a twin XL day bed downstairs. 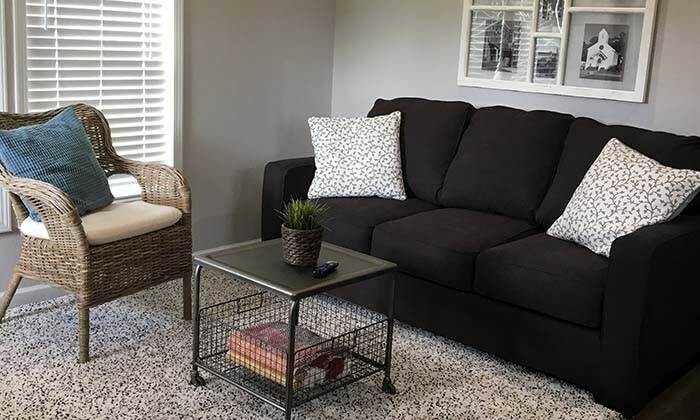 Includes spacious living room, fully equipped kitchen, large dining room with seating for 10, a full size washer/dryer, cozy bed linens, L'Occitane bath products, central AC/heat, WIFI, and satellite TV. Bed & Breakfast. 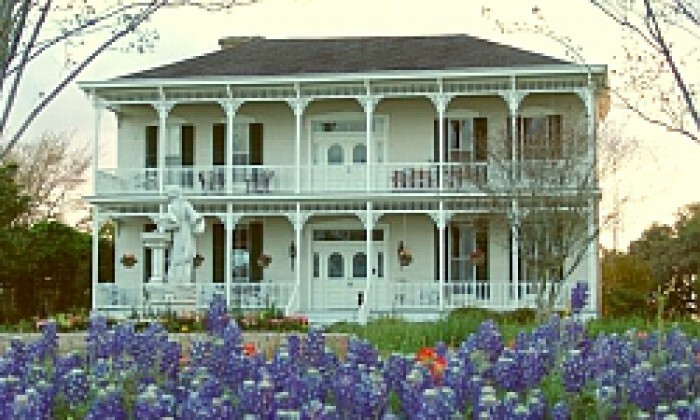 Main House, Art Barn, and restored 1854 Railroad Depot.